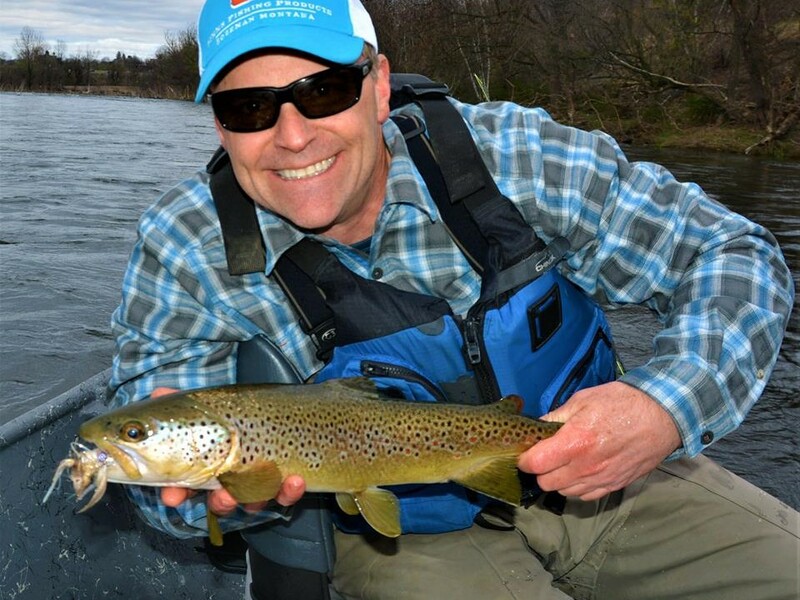 The latest report on the Lehigh River comes to us courtesy of James Tyger, owner of Flies by Tyger. When – Sunday, Dec 3rd. 930a- 430p, took an hour lunch break. Water – flow was around 200cfs (really low for the gorge, but great for wading) and water was clear with that tannic stain to the water. Looks like tea. 36° @ 1030am. Weather – mainly cloudy, air temp was 29° when I pulled into the parking lot. Temps rose to mid/high 30s in the afternoon. The bike trail is open to drive down for the rifle hunting season, so we took full advantage of that. We started about 3 miles down stream from the access point and nymphed our way upstream, focusing on tail outs, and deep ledges. Fish were caught in deeper water, on golden stonefly nymphs, and smaller hot spot nymphs. All browns, no rainbows. Fishing was generally slow, and most of the action came after lunch. Probably due to water temps rising a bit throughout the afternoon. Although it was slow, we did better than we thought and the fish seemed more active considering water temps. I bet there are alot of refuges for the trout, with all those feeder streams flowing into the Lehigh up there. 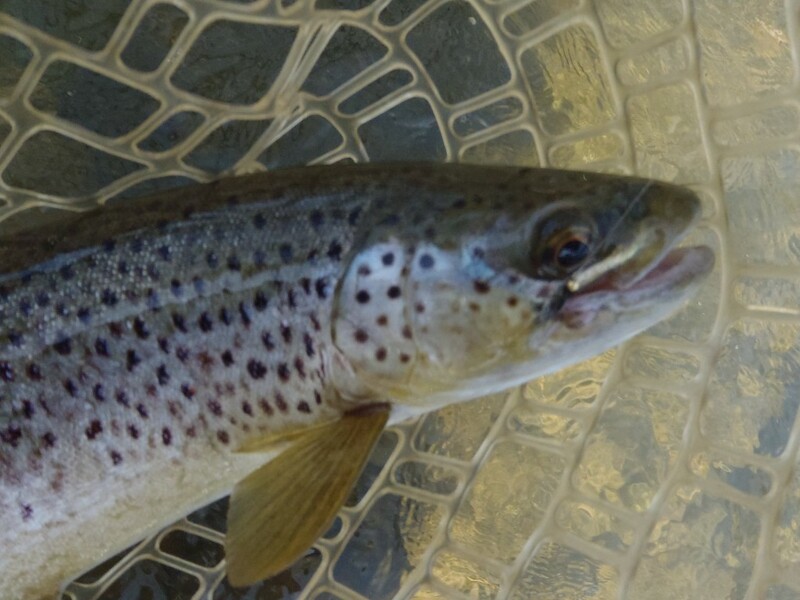 And, from Sky Blue Outfitters – This report from Rick Nyles on the Manatawny. Finally we had a regular summer of rain and the stocked rainbows in the Manatawny are doing well. The are colorful and fat. Fish are working the surface in the afternoon in the slow water and foam lines. Size 18 BWO’s get you fish. The wild browns have been plentiful and I caught more this year then the past three years in the winter. Lehigh, we have switched over to Bass on the Juniata and Susquehanna. Trout fishing in the gorge is good. Watch your wading, not easy. Tulpehocken Creek is at boarder line at, 300cfs, BUT water release from the dam is 70 degrees, not good. Boy I miss the good old days on the Tully. The Manatawny was up again yesterday , but should be fine today. Work the water with a bugger. Susquehanna river are in good shape with the Juniata up from the storms last night, It’s nice to have options and both have been fishing good with streamer and top water, your call. 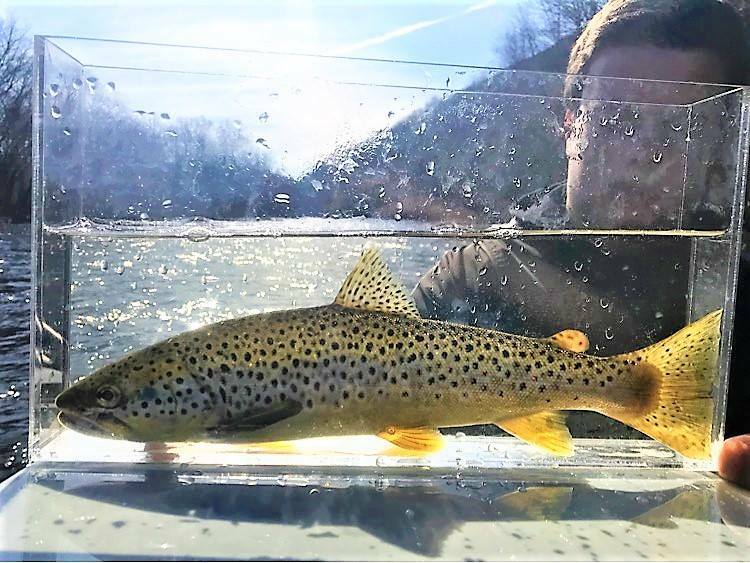 And, here is a story from Michael Lohman who teaches fly fishing classes here at Mainstream of his and a friend’s experience fishing the Susquehanna this past Saturday. This past Saturday I met a good friend of mine Jack Fields and another friend Nick Raftas on the Susquehanna for a day of smaillie fishing. Nick is a guide for skyblue outfitters. I had fished with Nick before and knew we would have a good day. The fish were hungry. Jack and I caught a bunch of fish. And a lot of larger fish. They seemed to average between 17″ and 19″ all healthy and fat fish. Nick is a great guide and a lot of fun to fish with. He works very hard and gives you a nice long day of fishing for a very fair rate. I would highly recommend you book a day or 2 and have a blast catching some of these great fish.